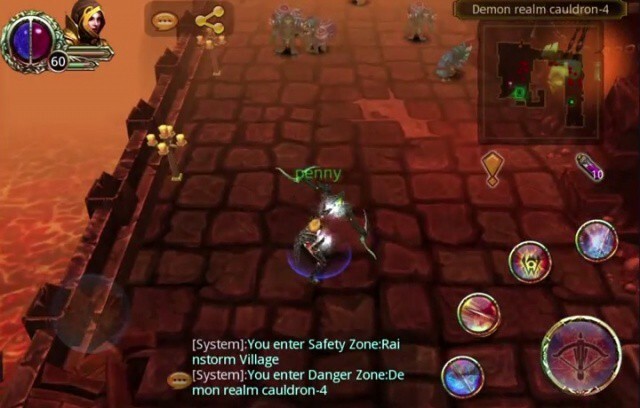 About a week after an incredulous tweet from Runic Games, Apple has taken down Armed Heroes Online, an MMO for iOS. In the tweet, Runic’s community manager Brian Ward claimed that assets were stolen from Torchlight – a Mac and PC game available on Steam – to be used in the iOS game by Entertainment Game Labs (EGLS). Travis Baldree, Runic Games’ president, told Joystiq that the soundfiles were identical to the ones used in Torchlight, including files that Runic Games had misspelled in development. “Our technical artist Adam Perin did voices for a sword called ‘The Sword of Adam.’ And it had goofy little things that he would say when you swung the sword. And those were in there, even in one of their videos,” said Baldree. The iOS MMO game was only being sold in the Canadian iTunes store, but it has been pulled as of this writing.